The GS-24’s robust build quality, redesigned cutting carriage and blade holder, 10x overlap cutting capability, and 350g of downforce (a 40 percent increase from its predecessor) allow users to cut a variety of materials from 50 to 700 mm wide – including thick, dense substrates – with ease and accuracy. Equipped with a powerful, durable digital servomotor, the GS-24 is built for optimum efficiency, versatility and productivity. It’s capable of cutting vinyl, paint mask, twill, heat transfers – even magnetic materials and card stock – at speeds of up 500 mm per second. 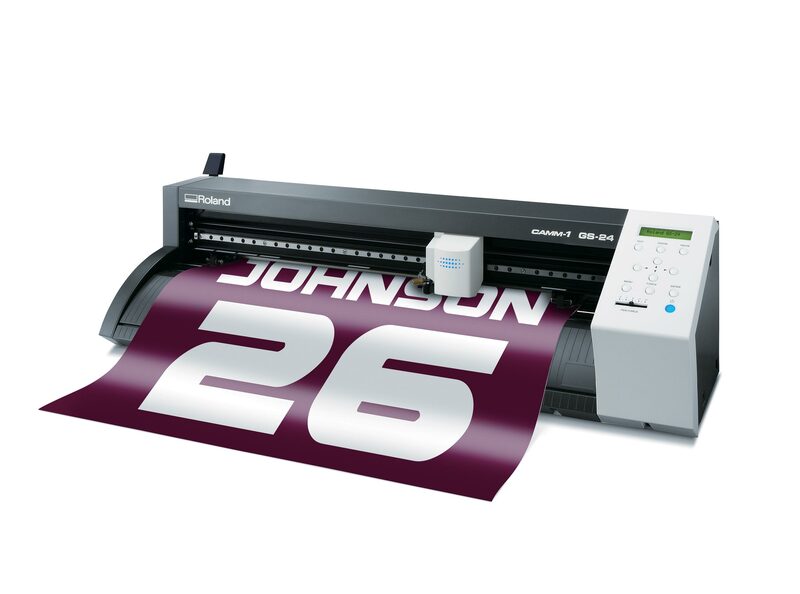 With its combined power, speed and accuracy, the GS-24 is an unbeatable tool for creating high quality vehicle graphics, signs and decals, decorated apparel, specialty graphics and more. 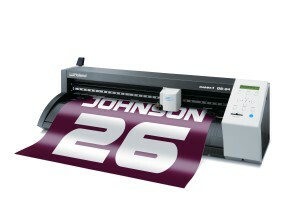 Perforated cutting capability also makes producing labels and decals for individual sale a simple task. While the GS-24 incorporates state-of-the-art technologies, it is incredibly user-friendly. A newly-designed LCD panel allows for convenient monitoring and control, while a precise blade groove on the cutter’s apron ensures easy manual cutting. There’s also an included roller base that keeps feeds straight for a precise cut each and every time. The bundled Roland CutStudio software lets you enlarge, reduce, reposition, rotate and mirror images quickly and easily. An improved tiling function makes cutting oversized images a breeze, and you can even cut TrueType fonts without the need for outlining. CutStudio supports BMP, JPG, STX, AI and EPS file formats, as well as the ability to cut directly from Adobe Illustrator or CorelDRAW. Play well with a number of different materials - like vinyl, paint mask, reflective vinyls, twill, heat transfers, sandblast material, and more. Roland CutStudio (included) allows you to cut TrueType fonts without the need for outlining and vectorization tool generates cut lines from any JPEG or Bitmap image.